I enjoy chewing gum at work, but Orbit have a funny texture that is very grainy. Looks like once you open the seal on the gum, the texture start deteriorating immediately. It feels like chewing on grains of sand. It is sugar free and suppose to be good for your teeth, but not acceptable. I chew gum when I drive. Unless my better half is in the car, 'cause she can't stand the sound of gum chewing. But, that aside... 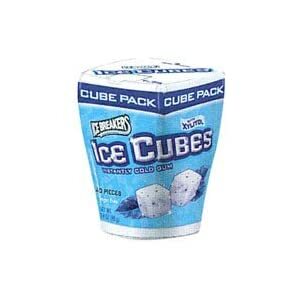 I'm a fan of Ice Breakers Ice Cubes. Unlike most other gums, these have the texture of good bubble gum. Soft and elasticy (and stays that way for much longer). I tend to blow bubbles as I drive as this bit of childfulness seems to keep the road rage at bay, which is helpful. Flavors seem to last as well. Last edited by noddin0ff; 09-11-2012 at 04:49 AM. 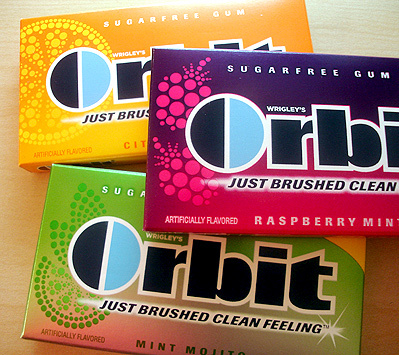 I've never heard of Orbit. 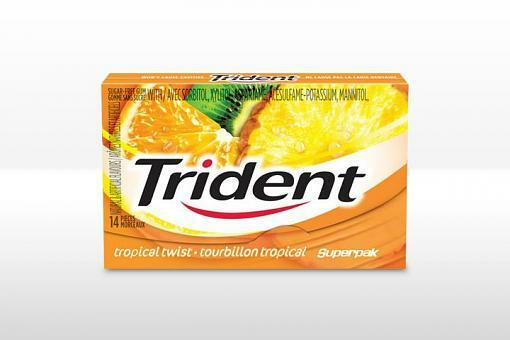 I like Trident Tropical Twist. We buy it by the box at Costco. Like noddinOff, I chew while I drive and also like to blow bubbles. Last edited by ForeverAutumn; 09-11-2012 at 05:07 AM. So how come I can see both of your images, but not my own? What did you guys do differently? I can't see your image either. Apparently it's an Internet Explorer thing. Thanks noddin0ff and FA for suggestions. I don't like the gum that is too sweet as it seem most brands are. What Smokey said. I use the html code. I like Dentyne Ice- Arctic Chill flavor. Clears up the sinuses in a hurry.